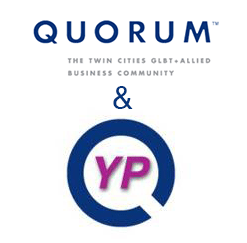 QUORUM - TUESDAY! April Networking Night at Trapeze! TUESDAY! April Networking Night at Trapeze! Please join us for a great happy hour and amazing networking. "Next to our very own Barbette restaurant in the Uptown neighborhood of Minneapolis we’ve created a small gem of a party space with Trapeze. Trapeze is a one-of-a-kind bubbles bar focusing on a compilation of sparkling wines, not found elsewhere in our fine city. From classic to artisanal and cult to natural producers, these selections (some of which have been sourced directly from sparkling and Champagne houses) will be worthy of a relaxing Thursday night out or a blow down celebration!"